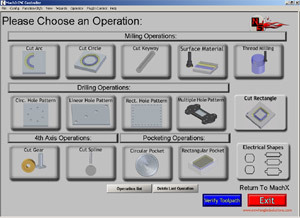 Artsoft has been in the CNC business since 2001. 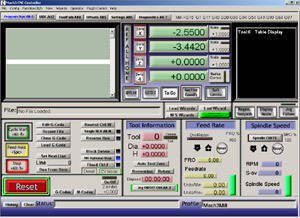 In this time, the Mach series of CNC software has evolved into the best available PC-based CNC software on the market. Not only is it extremely affordable to the hobbyist and industry alike, it is pioneering in it’s features and continuing development. There are over 10000 users of Mach who swear by its ease of use, great features, and outstanding support. 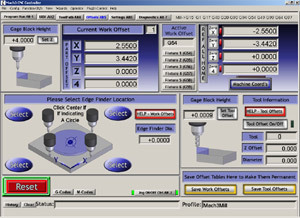 Also available, for a fee, are the Mach3 Addons for Mill – a handy collection of wizards designed to minimize the time it takes to go from “start to part”. LazyCam is a beta-release free importer included with Mach3. It’s purpose is to import standard dxf, cmx, and other file types to allow those that do not use CAM programs to more easily generate Gcode to be run under Mach3. The free edition of LazyCam that is included with Mach3 carries no cost. 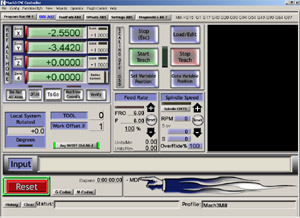 However, there is an optional PRO level upgrade that turns on advanced features such as object offsetting, pocketing, primary foam functions, importation of DXF profiles for conversion to Lathe turning code, etc. It is optional, but gives one the ability to do more advanced importation of objects. In the past 4 years, Artsoft has freely updated all previous versions of Mach for its customers. This policy still remains today. Any current version of Mach will be free to update for the duration of its development. Keeping with our home hobbyist roots, the minimum software requirements to run Mach are very reasonable. Below are the specifications for running Mach3 stably. PDF manuals and training videos are available. Technical support is available via the Mach 3 Forum or though the Mach 3 Yahoo users group, allowing the entire community to contribute to, and benefit from, the solutions. Questions about licensing or purchasing issues can be directed to license@machsupport.com.